Dr Simon Gordon specialises in advanced laparoscopic surgery, particularly for patients with endometriosis, complex cyst pathology and chronic pelvic pain. He undertakes many forms of minimally invasive gynaecological surgery including management of severe bowel adhesions, total laparoscopic hysterectomy and management of heavy periods. Originally trained in New Zealand, Dr Gordon completed gynaecological advanced surgical training in Australia. He has published several papers on endometriosis as an Endosurgical Research Fellow in Adelaide and Melbourne, including in leading scientific journals such as The American Association of Gynecologic Laparoscopists. As a specialist, Dr Gordon is closely involved in the training and preceptorship of obstetrics and gynaecology registrars and visiting gynaecologists. He is a Fellow of the Royal Australian and New Zealand College of Obstetrics and Gynaecology and a member of AGES – the Australian Gynaecological Endoscopy and Surgical Society. Dr Gordon also participates in international conferences held by the World Endometriosis Society. 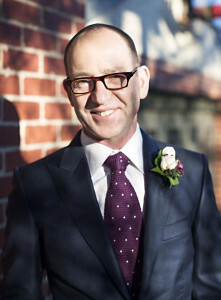 Dr Gordon maintains two public and two private hospital appointments in Melbourne hospitals and has actively supervised his private practice in East Melbourne for over sixteen years.